Most digital cameras use contrast detection to auto focus (AF). Usually, the focus point is a small rectangle in the middle of the viewfinder frame ( Center AF ), though many digital cameras now also offer additional AF points ( Multi-Point AF ). If you look in the LCD monitor of your digital camera, there will usually be a rectangle at the center of the screen, commonly called the AF Frame . When your digital camera is set to Center AF mode, this rectangle in the middle of the screen is your AF point. Multi-Point AF automatically selects between a number of AF points (the most common seems to be 5 or 9 AF points -- i.e. 4 or 8 AF points clustered around a center focus point) and finds the most contrasty subject among those AF points. If your default AF mode is Multi-Point AF and some of your shots are sometimes out of focus, it may be that Multi-Point AF is the culprit. Here is an example of how Multi-Point AF focused on the more contrasty background well behind my main subject (the lone green leaf left on the bush). 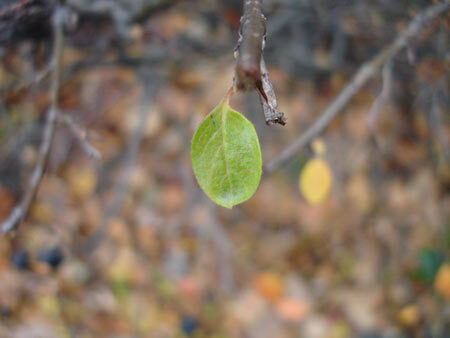 Even though the green leaf is in the center of the frame, Multi-Point AF has chosen to focus on the more contrasty background around it instead. 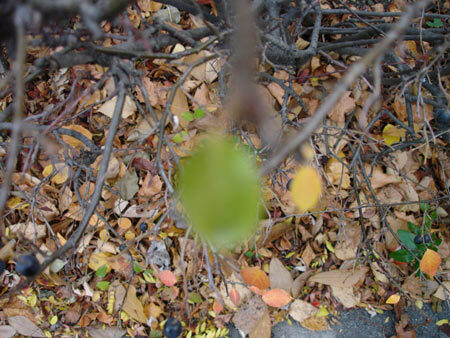 The result is that the ground of fallen leaves come out in focus, while my main subject is out of focus. I took a couple more shots with the same result before I realized what the problem was. I immediately went into the camera's menu to switch AF mode from Multi-Point AF to Center AF. This time, I got the result that I was after: the lone green leaf in focus against a nicely blurred backdrop! Multi-Point AF works pretty well usually but sometimes the camera will focus on something else besides your main subject if that something else happens to fall under one of the AF points and is also more contrasty than your main subject. In these instances, switch AF mode to Center AF, point the AF Frame on your subject and half-press the shutter release button to lock focus on your main subject, then reframe, if necessary, before fully pressing the shutter release button to take the shot. Some more advanced digital cameras also allow you to move this AF Frame away from the center to other parts of the screen (so your subject does not need to be centered). Want to learn more? Read our tutorial on Area Focus .